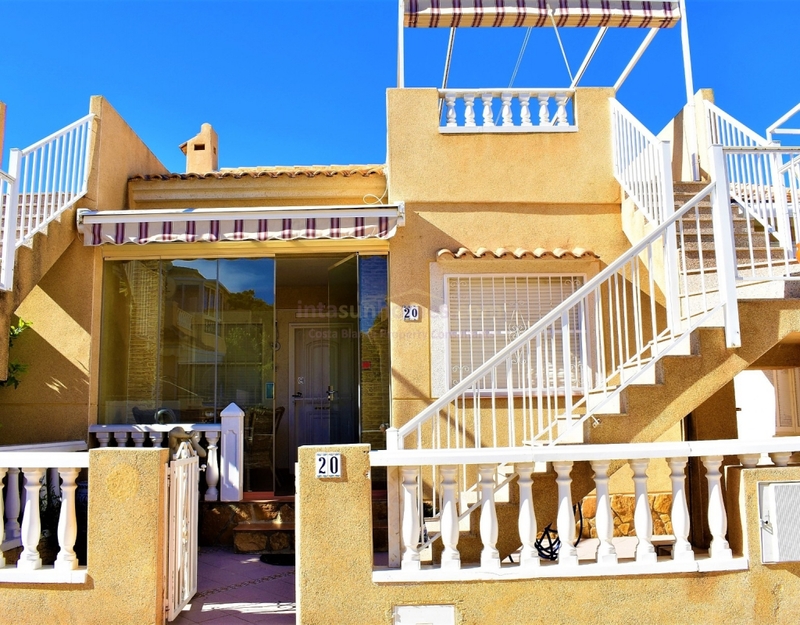 Available from the end of September 2019. 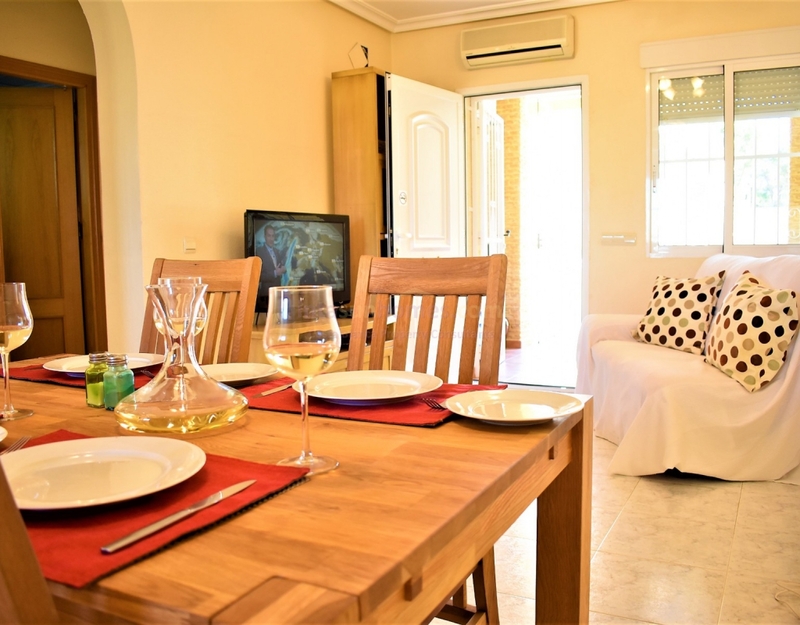 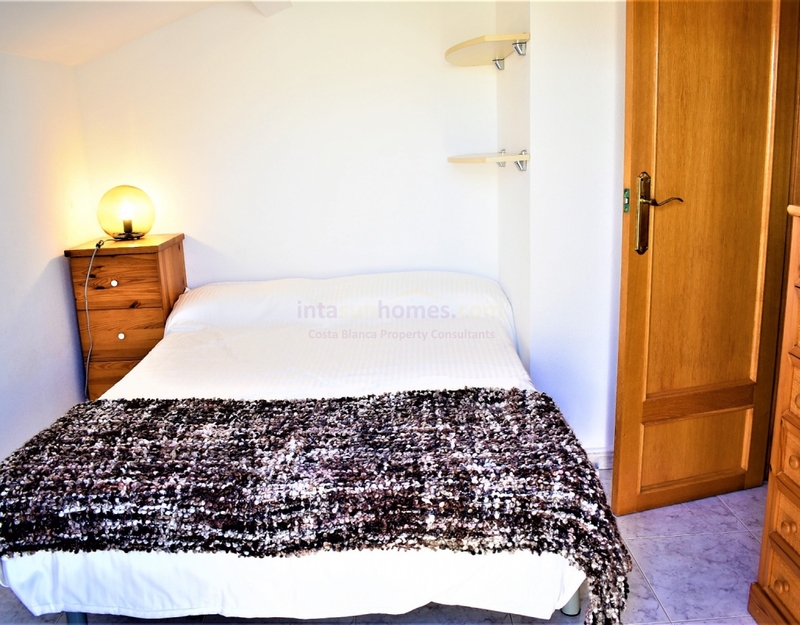 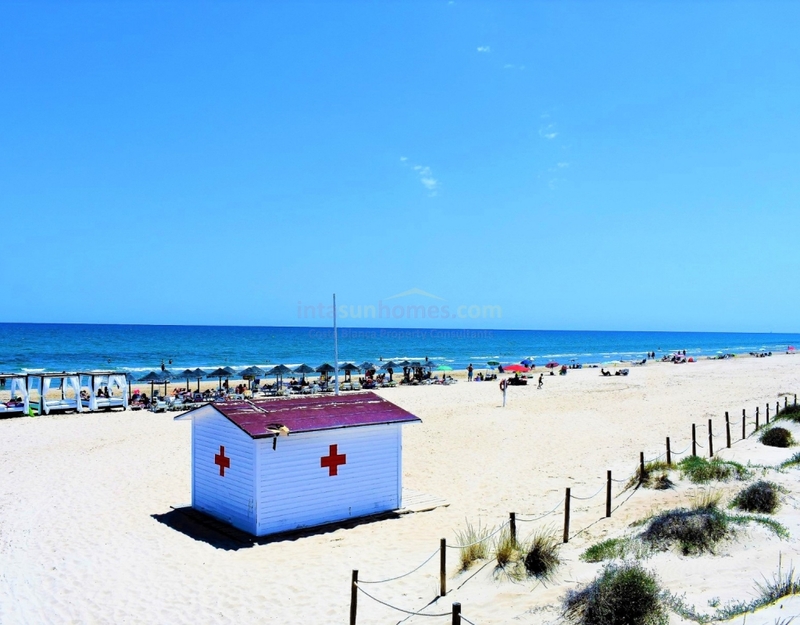 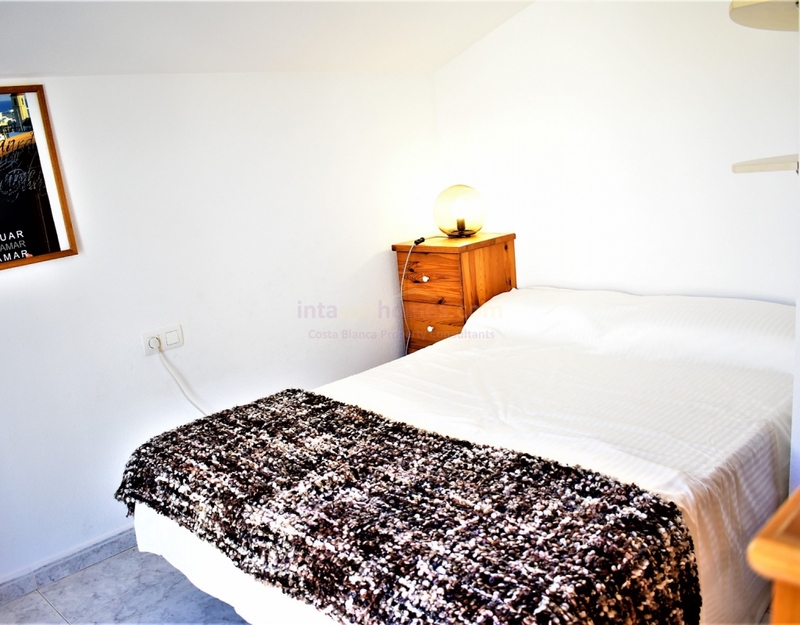 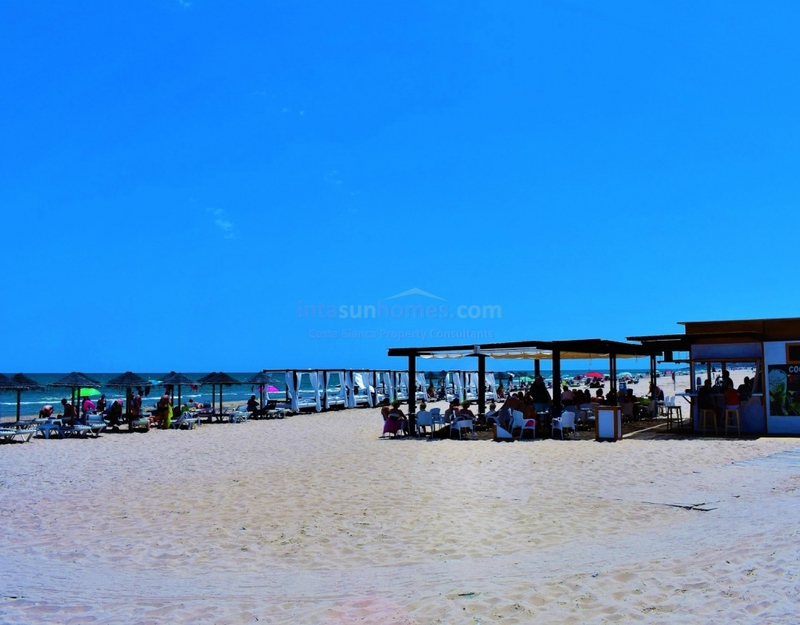 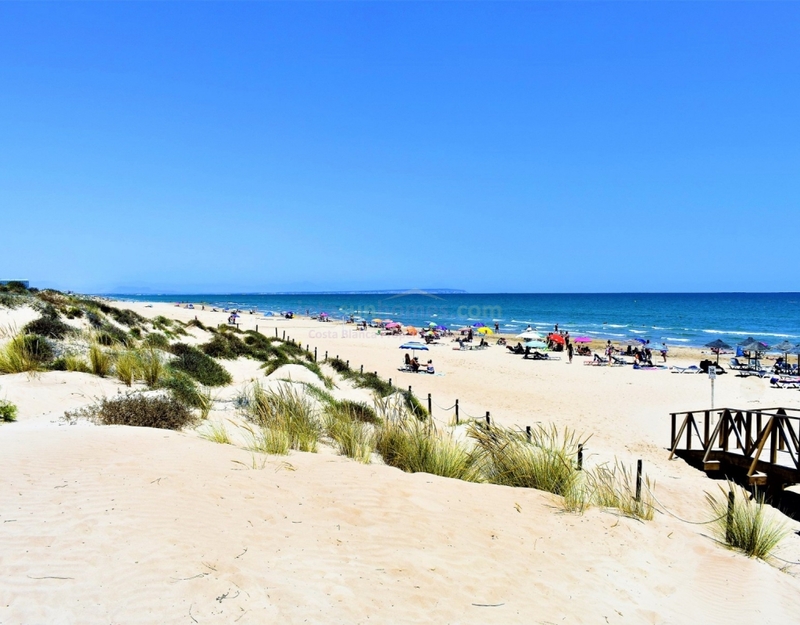 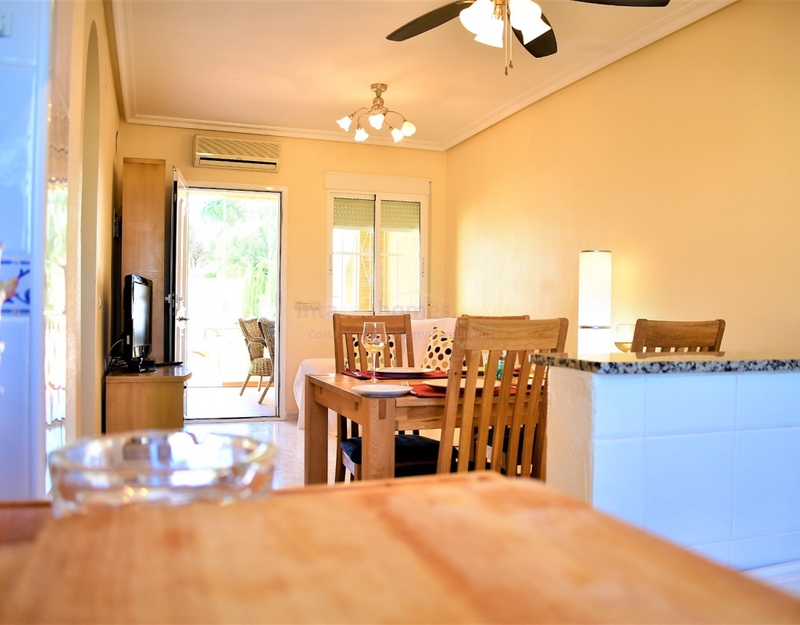 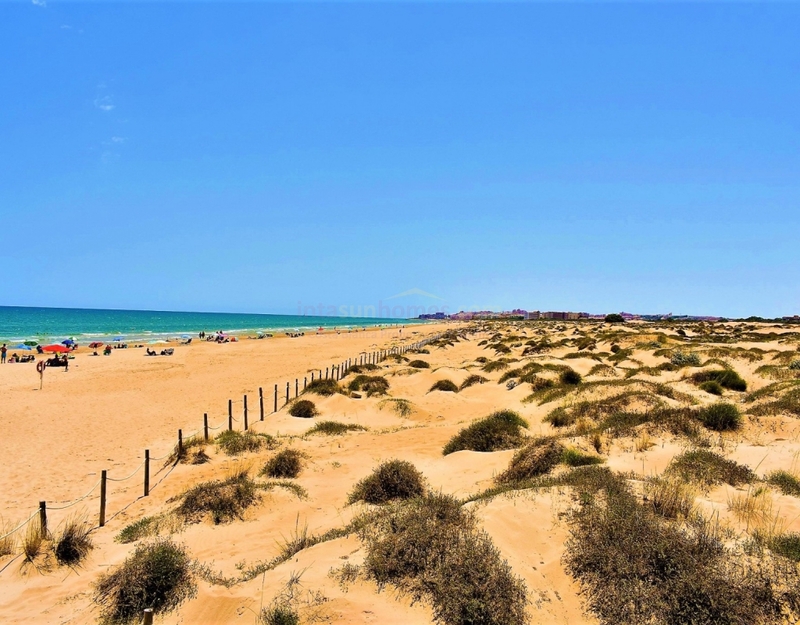 This immaculate beach side, 2 bedroom, 1 bathroom bungalow is a 15 minute walk from shops and bars and is just 50 meters from the pine filled sand dunes and approximately 600 meters to the waters edge of the stunning Blue Flag El Moncayo beach complete with a summertime chill out beach bar. 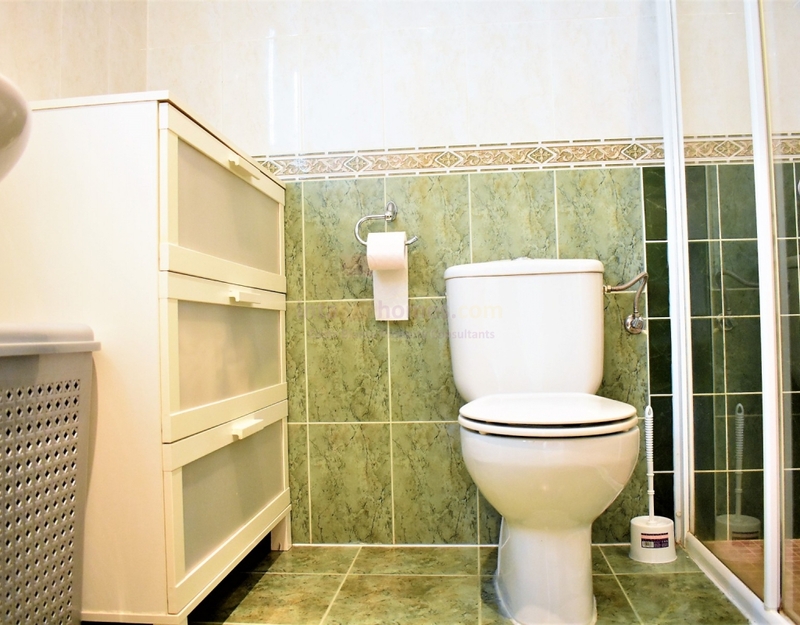 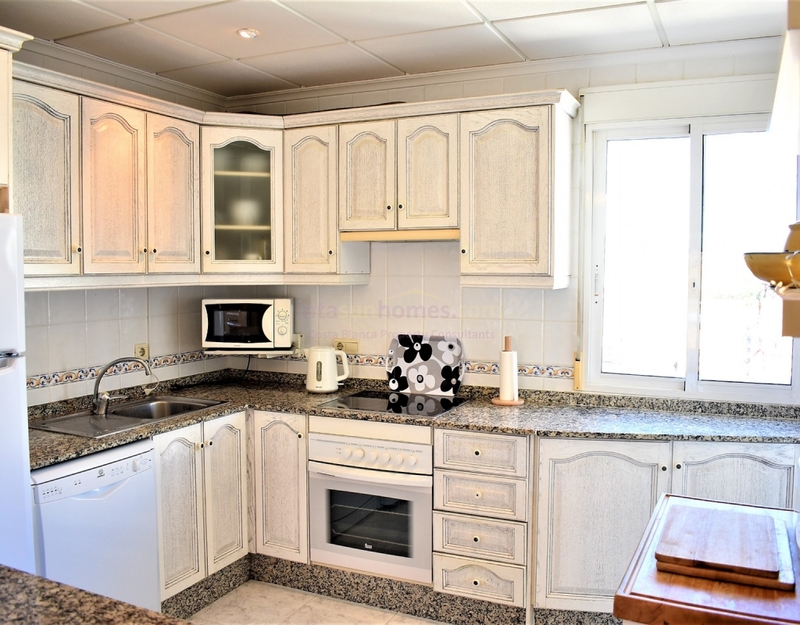 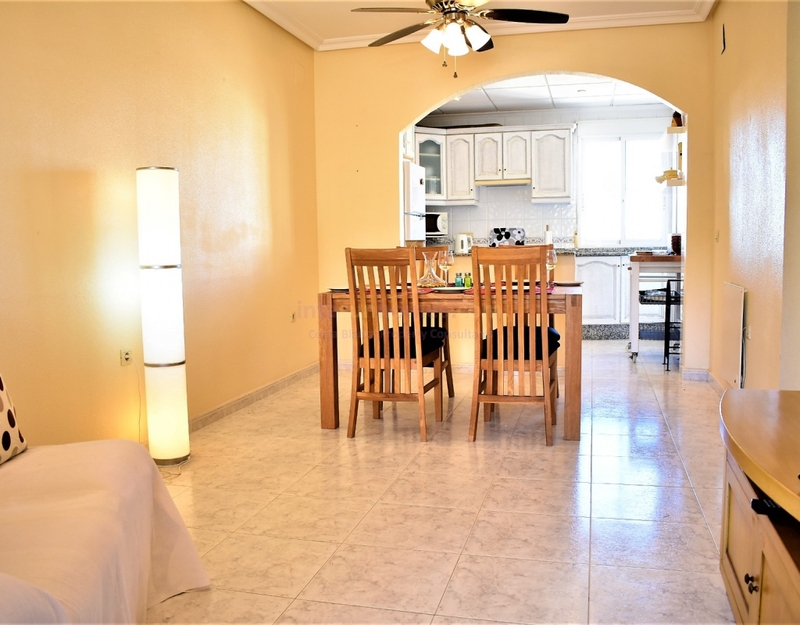 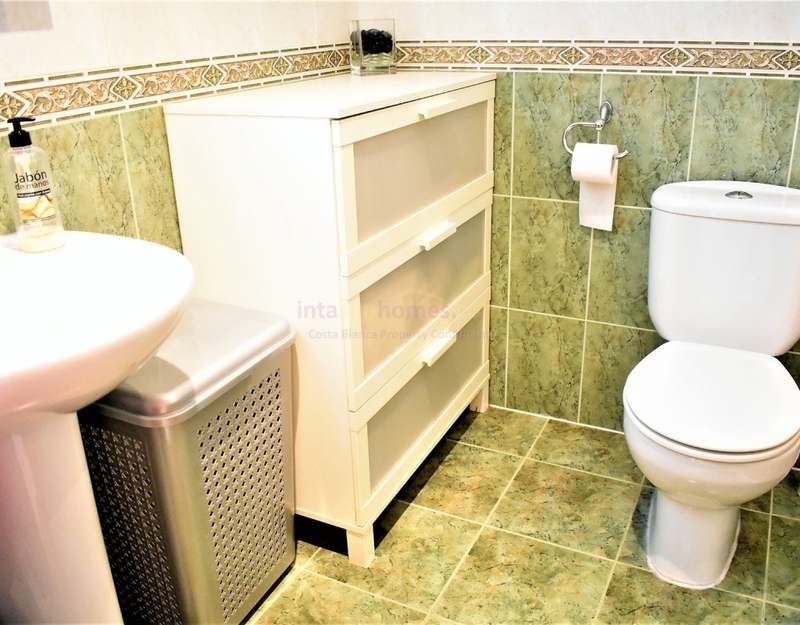 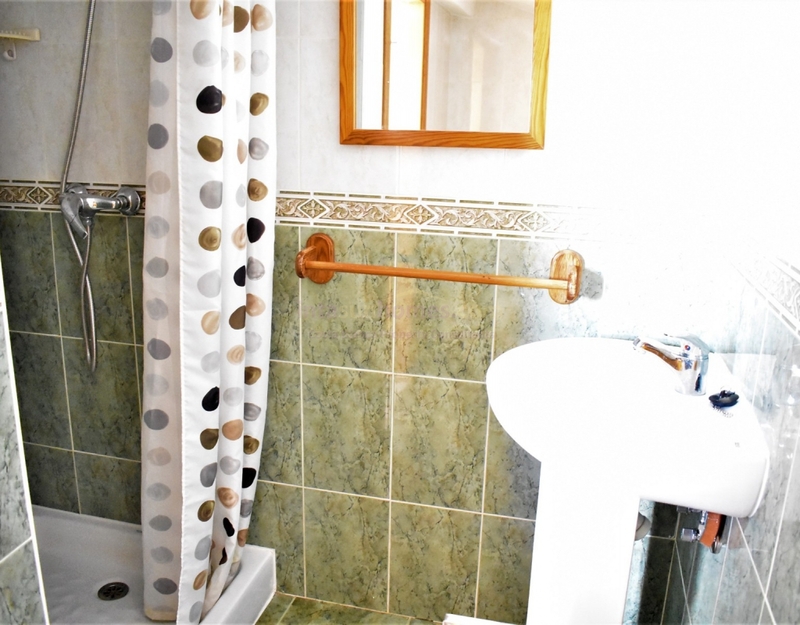 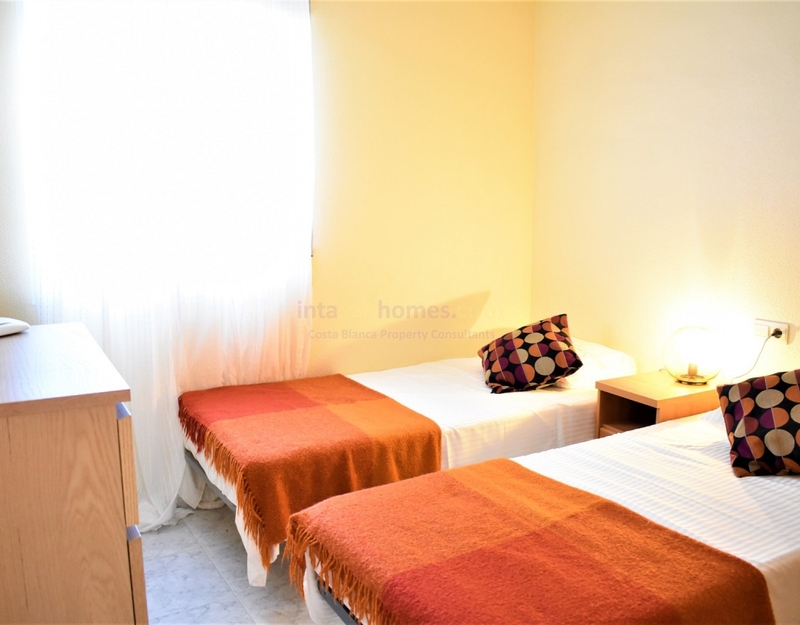 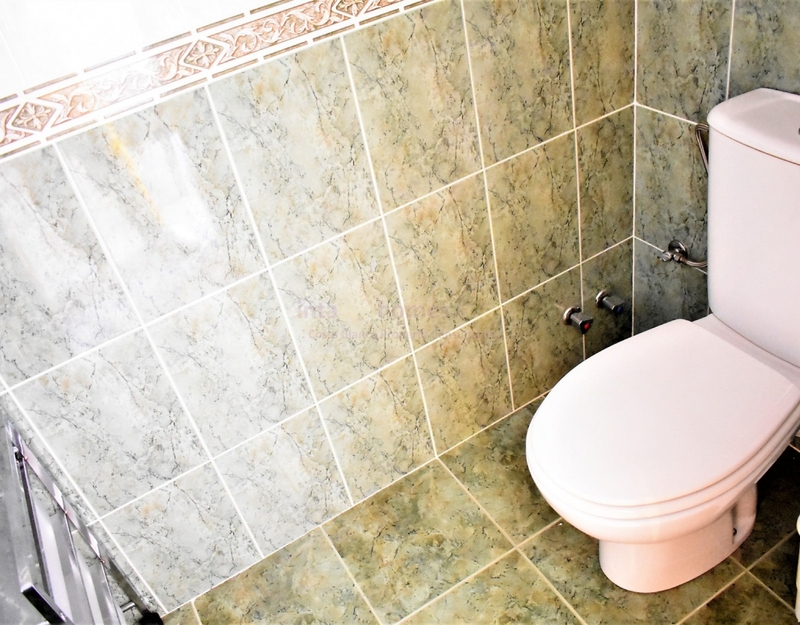 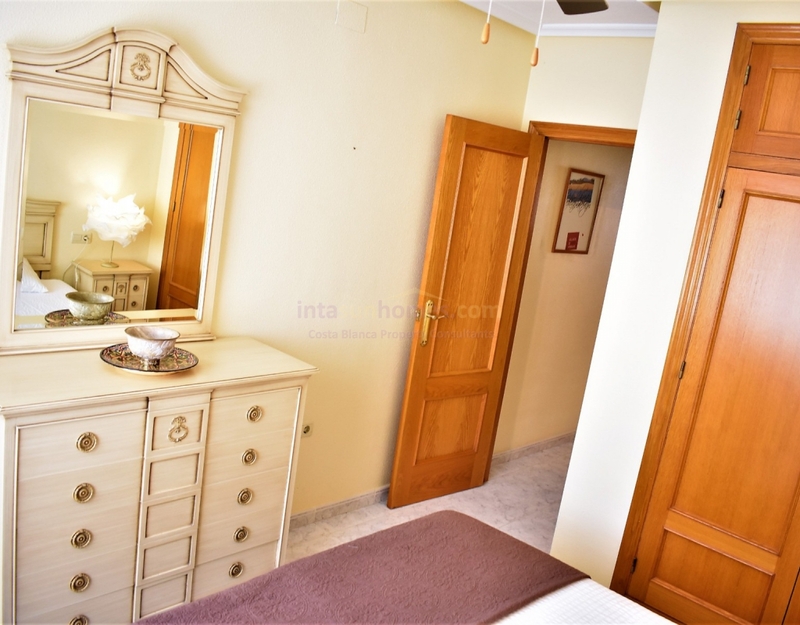 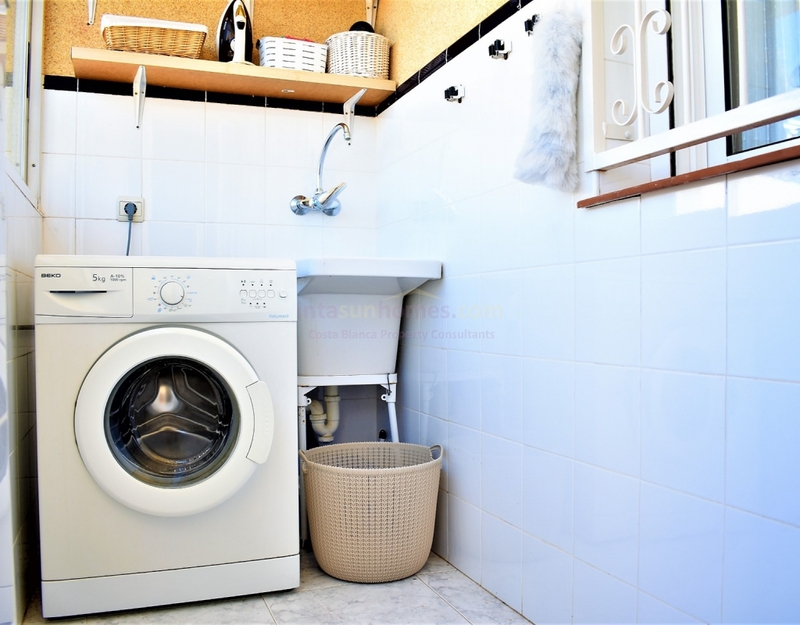 The property consists of an open plan fully air conditioned living room with ceiling fans; fully fitted American kitchen with all white goods included; 2 spacious bedrooms 1 Twin 1 Double both have fully fitted wardrobes and ceiling fans; between them is family walk in shower room. 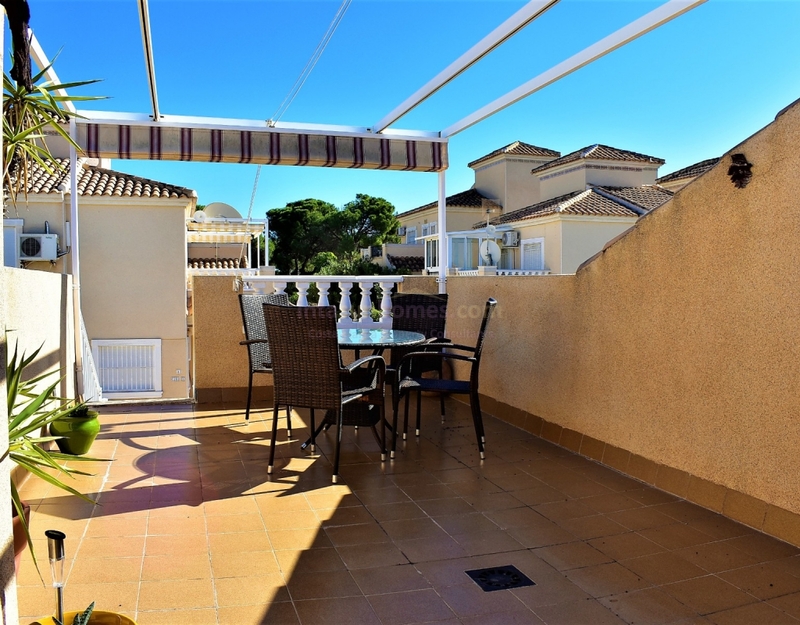 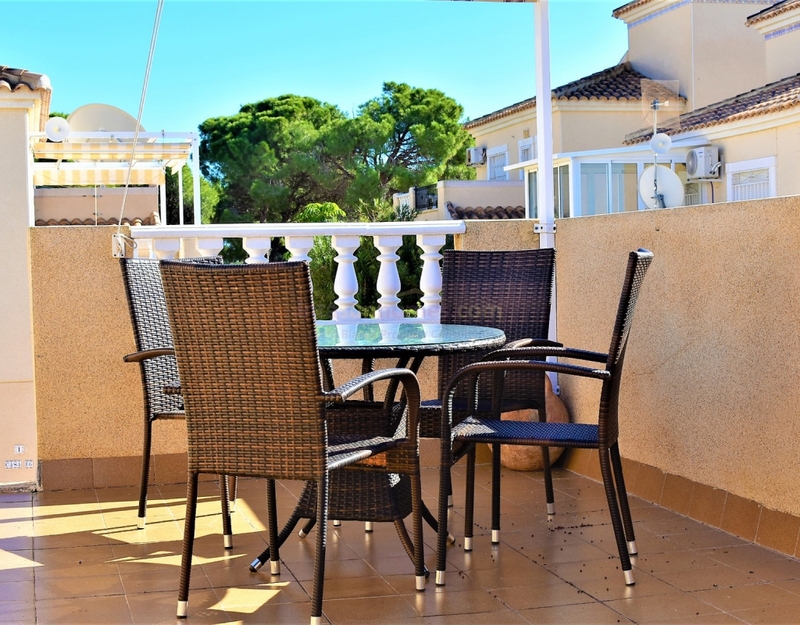 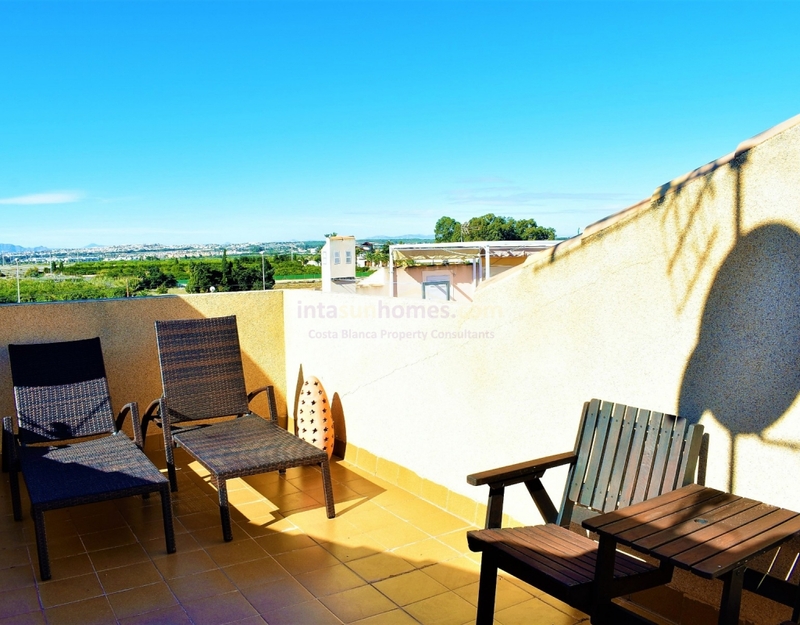 From a separate utility room stairs lead down to a west facing sun terrace Ideal for sun downer drinks complete with Bar.B.Q , table and chairs. 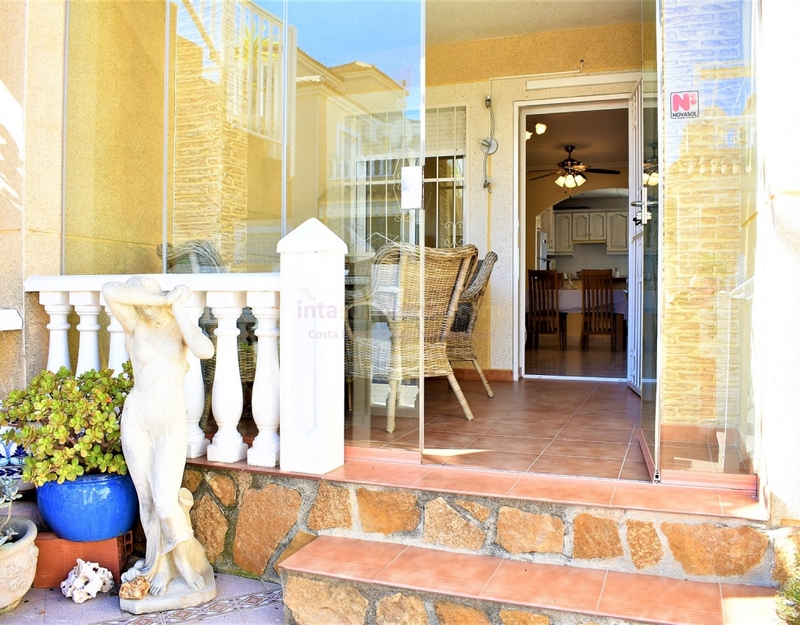 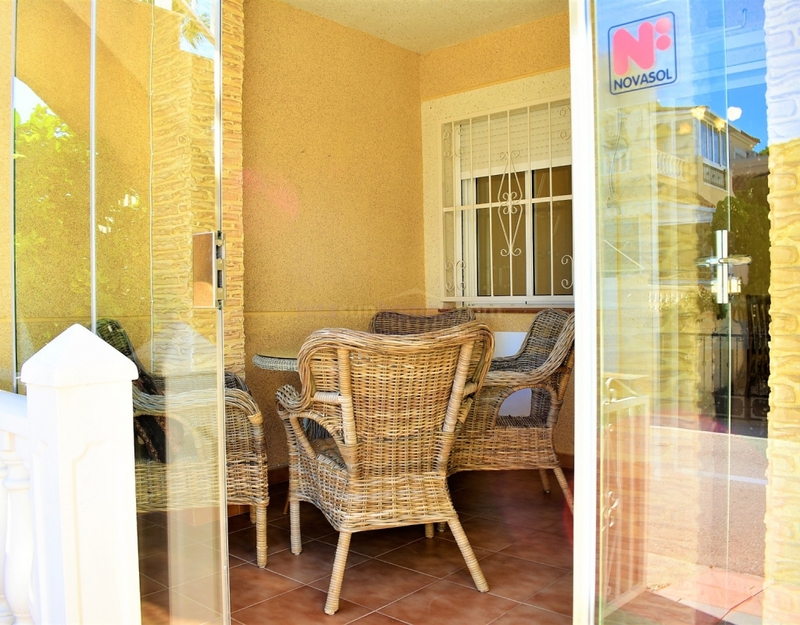 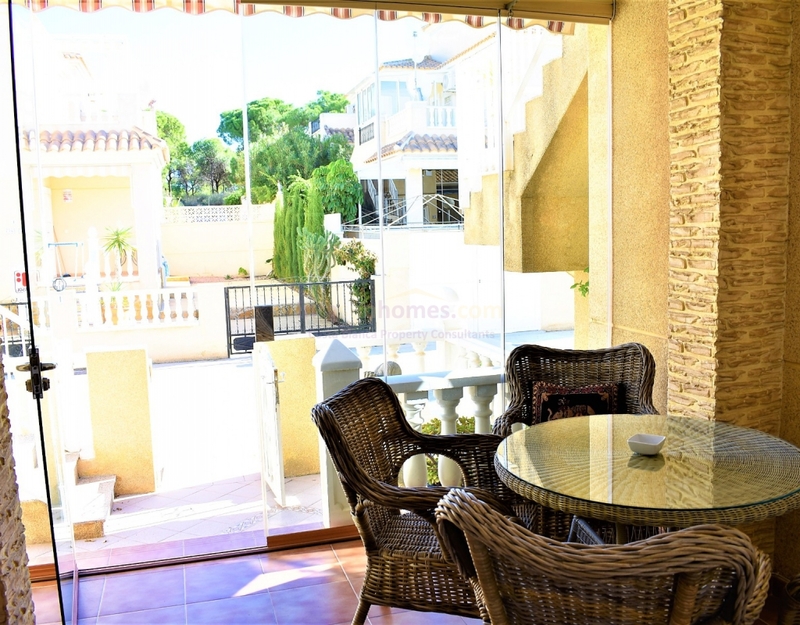 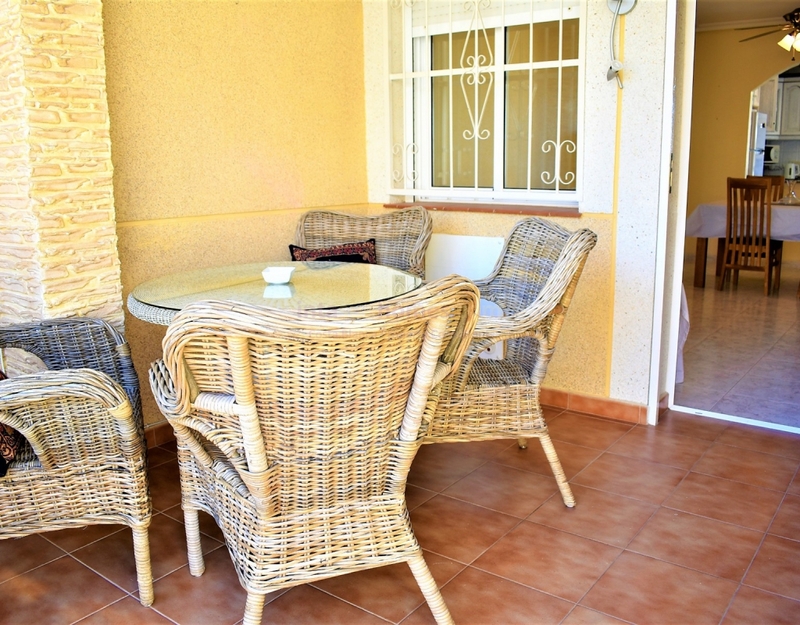 At the front of the property is a covered porch with glass curtains which allows you to continue enjoying the sun in the winter months.There is also a small patio garden with stairs leading up to the large solarium boasting panoramic views of the nearby La Mata lakes and surrounding countryside with space for sun bathing for sun bathing and shade for Al fresco dining. 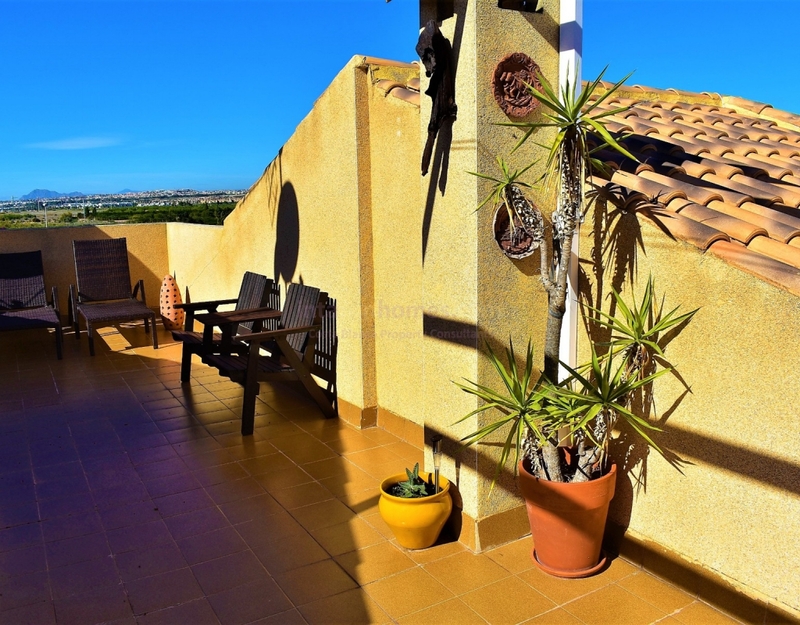 From the Solarium there is access to the third separate air conditioned double guest bedroom with en-suite shower room which can be made available on request at additional cost.